From A to B in no time at all. 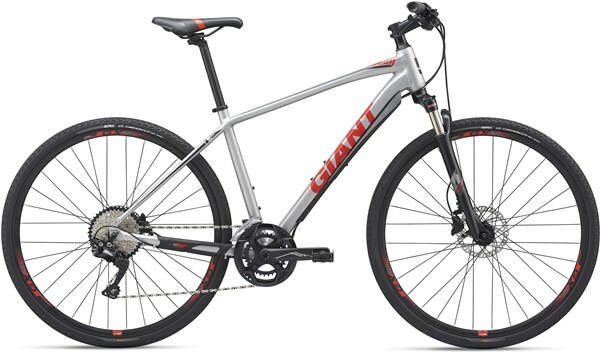 The giant Roam 1 Disc hybrid bike is a no-nonsense machine where the small details are all taken care of. 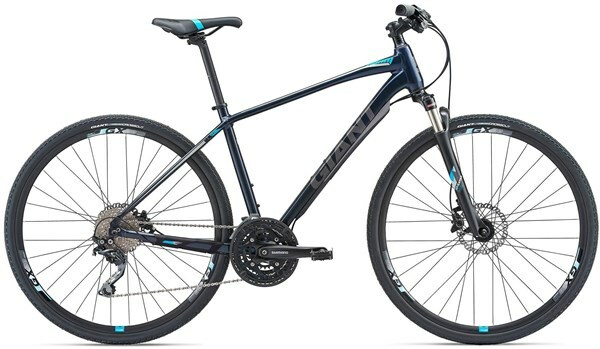 Giant’s Aluxx aluminium is both incredibly strong and very light weight, and by using it on the frame of the Roam 1 Disc they’ve created a bike that is easy to manoeuvre around town, whilst also being tough enough to withstand the knocks and bumps of the daily grind. 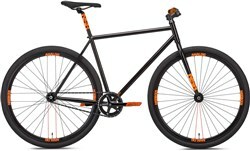 The Roam 1 Disc has a lightweight suspension fork up front, which is just right for taking the sting out of kerb drops and poorly maintained urban alleys. The Shimano Deore 3x10 speed gearing is borrowed from Shimano’s mountain bike components, so you know it’s got the durability and sharp-shifting performance that comes with it. 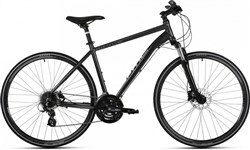 You also get Shimano hydraulic disc brakes, which have ample stopping power to slow you down when unexpected obstacles appear in front of you. It’s great to see that Giant have taken care of the fine details, like the built in spray guard on the down tube.